Shooting While Pregnant: Dangerous or Not? Unfortunately, there are no definitive studies that clearly answer this question. course for women. The doctors we contacted seemed to agree that there was no reason why she shouldn't shoot. We knew the range was lead-free and the ammunition was frangible, and with that proviso, the doctors all agreed. Then someone brought up the question of the noise, and no one seemed to have any answers as to whether that could harm the baby,and thus began a quest to find out the truth about shooting and pregnancy. This is an important topic for women in law enforcement, and right now, EVEN IF agencies do have a policy in place, that policy isn't based on factual information that comes from studies on shooting while pregnant. (See sidebar on Policy.) Firearms instructors and range officers in most police departments don't have medical degrees, and so armed with whatever knowledge and experience they have, they make their best guess. That is, unless an order comes"down from above" which usually means the lawyers had a hand in it. It' strictly liability protection,but if that is in the best interests of mother and child, that's fine. Many experts in the field share the same sentiments regarding training courses. Massad Ayoob, a widely regarded expert in the industry says: "I recall one obstetrician writing a few years ago that you shouldn't worry about it. That said, I can usually taste lead after I've been on a 'lead free range.' And I'm not a fetus. My own gut reaction is not to do it." I see no reason why a police officer should not be able to qualify when pregnant, because this usually involves a limited number of rounds and a short duration on the range. Of course, this is provided that some reasonable accommodations are made. [Some examples are] using an outdoor range, using lead-free ammunition, wearing an appropriate mask with a special HEPA filter rated for lead, having someone else pick up spent brass, shooting alone on a range (instead of simultaneously with many other shooters putting leadinto the air), or using a simulation shooting system that does not use live ammo. It appears that the two major concerns are lead exposure and noise exposure. In conducting our research, while we found very little factual information available on shooting during pregnancy, we were able to find a good amount of data on exposure to lead and noise during pregnancy. pregnancy) as well as causing behavioral effects in infants and children. One study stated that premature delivery and a decreased growth stature "have all been associated with prenatal lead exposure at "acceptable" levels." Ms. Bates believes that lead exposure can be controlled, and she is in good company. Dr. Heiskell agrees. Lawrence E. Heiskell, M.D.,FACEP, FAAFP has ten years experience as a SWAT team physician, and is currently a Reserve Police Officer, as well as a firearms instructor and Medical Director or Heckler and Koch's Tactical Emergency Medicine Program. Toxicity from other chemicals and heavy metals besides lead, shooting and cleaning a firearm exposes you to other chemicals, including cleaning solvents, and other heavy metals, including barium, antimony,copper and arsenic. It is not clear, whether these chemicals are safe or dangerous for the fetus, during or after a shooting session.Pregnant or not, it's just safer to conduct all firearm cleaning activities outdoors or in very well ventilated areas. Noise, especially very loud noise and chronic exposure to loud noise, is usually considered as detrimental during the pregnancy. In most European countries, health regulations forbid pregnant women to work in surroundings with a level over 80 dB continuous noise and rapid impulse noise changes of 40 dB, which is much less than the noise of a firearm. In the United States, the Departmentof Labor limits for impulse (not continuous) noise is 140 dB (Dept.of Labor Bulletin #334, 1971) with additional regulations for ongoing noise. The sound levels offirearms are about 125-140 dB for rimfire rifles, 140-150dB forrimfire pistols, and 150-160 dB for centerfire rifles, pistols,and shotguns. comparison, foam plugs generally offer a protection of 12 to 20dB, and are considered as the least effective hearing protection. However, studies involving sound can be suspect. Silencer manufacturers,who work very carefully with sound, will tell you that with smal lpositioning changes in the microphones, you can dramatically change the results of the tests. Silencers/suppressors, although not readily available to the average woman, could be very beneficial to the pregnant officer who shoots a firearm, in that it can reduce the report of each shot by approximately 30 dB. Unlike what we see on television, that's still pretty darn loud though, and you still need to wear good hearing protection .It does not totally reduce the noise of the firearm, and would not stop the sound from reaching the fetus. Numerous studies demonstrate that exposure to noise during pregnancy, has been linked to such disorders as miscarriage, intrauterine growth retardation, premature delivery (less than 37 weeks), decreased birth weight, hearing loss in babies and children, altered immune response in the fetus and hypertension during pregnancy (a potentially severe disorder). Interestingly, one study showed that a combined exposure to noise and lead seemed to have an increased toxicity, causing heart lesions, which was not observed for either of those agents in isolation. The question again, is "how relevant are the studies to our very specific question?" The answer again, is "we just don't know." Is it something we want to chance? One thing we do know is that fetal response to sounds begins at about 16 weeks, and the ear is structurally complete by 24 weeks. (At 25 weeks, a baby will move in rhythm to an orchestra drum!) According to The American Academy of Pediatrics, "the hearing threshold (the intensity at which one perceives sound) is approximately 40 dB at 27-29 weeks, and decreases to a nearly adult level of 13.5 dB by 42 weeks of gestation." It would appear that even though the structures are all in place, the sense is not full developed until birth. We also don't know at what point the fetusis most susceptible to noise damage of the ear, whether it's during the first trimester, second or third. Interestingly, "the vestibular system, [the part of the ear] designed to register head and body motion, as well as the pul lof gravity, begins developing at eight weeks." It is believe dthat "receptive hearing begins with the skin and skeletal framework, [and] is then amplified with vestibular and cochlea rinformation as it becomes available. Hearing is clearly a major information channel operating 24 weeks before birth." One other aspect that we haven't addressed so far is the mind set of the mother. Does shooting cause high levels of an unpleasan ttype of stress or is shooting fun and exciting for the mother? Certainly how the mother feels emotionally about shooting wil lhave either a positive or negative effect on the baby as well. Current scientific knowledge does not bring any evidence that shooting is safe during pregnancy. While current data clearly shows that noise and lead can be significantly toxic during pregnancy, we don't have any data that is specific to shooting and pregnancy. More research is clearly needed in this area. However, at this point, author Fabrice Czarnecki recommends that pregnant women don't shoot, and avoid firing ranges. It is the carefully considered opinion of the authors that pregnant women should evaluate the risks involved in consultation with her doctor. Obviously, shooting in self-defense if needed would be recommended, but shooting on regular basis during pregnancy would just increase the risks to both mother and child. It is recommended that pregnant women avoid working on or near firing ranges where chronic noise and lead exposure would be an issue. Commercial shooting schools should carefully consider whether to allow pregnant women on their courses, or on the ranges, and with what safety measures in place. Gila Hayes of the Firearms Academy of Seattle does not allow pregnant women on the range, even as visitors. Most of the experts agree that pregnant women should not clean their guns, to reduce exposure to chemicals. Guns should be cleaned by other people, away from the pregnant woman. Law enforcement agencies and the military need to consider development of safer alternative solutions to live-fire qualification for pregnant officers, using systems like FATS simulators (or otherbrands), BeamHit, and Airmunition. The technology is now in place to offer this. Agencies which allow their pregnant officers to continue to carry their firearm past their qualification can beliable; this protects the officer and the agency. However, in some cases, the physical aspects of qualifying could be inappropriate for pregnant women, reminds Sgt. Greg Conrad of the New York State Courts, especially if this is "including running, kneeling and shooting while prone. "This will vary dependant on each state or agency's standards. recommend that the qualifying instructor separate the pregnantwoman from the other officers and qualify them separately"to minimize noise exposure from other shooters. Ken believes that,"Shooting, whether for work, pleasure or sport is inherently dangerous. It is up to the individual officer to investigate all challenges to her safety and the safety of her baby." 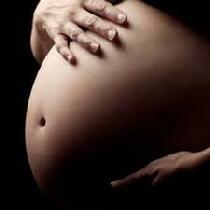 As one of our colleagues (a female police sergeant) recently remarked,"pregnancy is a temporary condition. Why risk it?" Dr.Heiskell stated, "As in any job, pregnant female police officers should exercise good common sense and use extra care while on the firing range to minimize risks of injury to the mother and the fetus, and should follow department policies regarding pregnant females." welcome your comments and feedback. Elizabeth Kennedy is a Founding Director of the American Women'sSelf Defense Association, as well as Vice President of Modern Warrior AE Defensive Tactics in New York, as well as an active member of the American Society for Law Enforcement Training since1987. Contact Liz at mwarrior@nvbb.net . Fabrice Czarnecki, M.D., M.A., M.P.H. is an Emergency Physician, and holds a Master's degree in Public Health. Fabrice is the Medical Advisor for the American Society for Law Enforcement Training and the American Women's Self Defense Association. Contact Fabrice at fczarnecki@hotmail.com . Besides lead, shooting and cleaning a firearms will expose you to other chemicals, including cleaning solvents, and the following heavy metals: barium, antimony, copper and arsenic.5 It is notclear whether these chemicals are safe or dangerous for the fetus,during a shooting session. They can be toxic depending on there concentration. Current scientific knowledge does bring any evidence that shooting is safe during pregnancy. In the contrary, current data shows that noise and lead are significantly toxic during pregnancy. We recommend that pregnant women do not shoot firearms, unless in self-defense, and stay clear from shooting ranges. 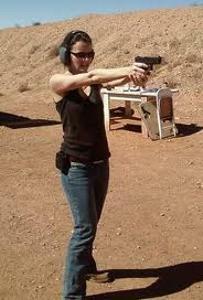 Commercial shooting schools should not allow pregnant women on their courses, or on the ranges. Pregnant women should not clean their guns, to reduce exposureto chemicals. The guns should be cleaned by other people, awayfrom the pregnant woman. development of alternative solutions to live-fire qualificationfor pregnant officers, using systems like FATS simulators (orother brands), BeamHit, and Airmunition. 1.Gardella C. Lead exposure in pregnancy: a review of the literature and argument for routine prenatal screening. Obstet Gynecol Surv.2001 Apr;56(4):231-8. 2.Osman K, et al. Toxic and essential elements in placentas of Swedish women. Clin Biochem. 2000 Mar; 33(2):131-8. 3.Winder C. Lead, reproduction and development. Neurotoxicology.1993 Summer-Fall;14(2-3):303-17. 4.O'Halloran K, Spickett JT. The interaction of lead exposure and pregnancy. Asia Pac J Public Health. 1992-93;6(2):35-9. 5.Dams R, et al. Element concentrations in the air of an indoorshooting range. Sci Total Environ. 1988 Nov 1;77(1):1-13. 6.Brezinka C, Lechner T, Stephan K. The fetus and noise. GynakolGeburtshilfliche Rundsch. 1997; 37(3):119-29. 7.Shimm and Passamaneck. Shooting noise, hearing loss, and hearing protection. IDPA Tactical Journal. 8.Gerhardt KJ, et al. Intra-abdominal sound pressure levels during impulse noise exposure in sheep. Mil Med. 2000 Feb;165(2):153-6. 9.Richards DS, et al. Sound levels in the human uterus. ObstetGynecol. 1992 Aug;80(2):186-90. 10.Gerhardt KJ, Abrams RM, Oliver CC. Sound environment of the fetal sheep. Am J Obstet Gynecol. 1990 Jan;162(1):282-7. 11.Zhang J, Cai WW, Lee DJ. Occupational hazards and pregnancy outcomes. Am J Ind Med. 1992;21(3):397-408. Ke Da Xue Xue Bao. 1991 Sep;22(4):394-8. Longitudinal Study of Pregnancy and Childhood. Cent Eur J PublicHealth. 1999 Nov;7(4):210-5. 14.Hartikainen AL, et al. Effect of occupational noise on the course and outcome of pregnancy. Scand J Work Environ Health.1994 Dec;20(6):444-50. 15.Luke B, et al.. The association between occupational factors and preterm birth: a United States nurses' study. Research Committeeof the Association of Women's Health, Obstetric, and Neonatal Nurses. Am J Obstet Gynecol. 1995 Sep;173(3 Pt 1):849-62. 16.Nurminen T. Female noise exposure, shift work, and reproduction.J Occup Environ Med. 1995 Aug;37(8):945-50. 17.Pierson LL. Hazards of noise exposure on fetal hearing. SeminPerinatol. 1996 Feb;20(1):21-9. 18.Sobrian SK, et al. Gestational exposure to loud noise alters the development and postnatal responsiveness of humoral and cellular components of the immune system in offspring. Environ Res. 1997;73(1-2):227-41. 19.Cary R, Clarke S, Delic J. Effects of combined exposure tonoise and toxic substances--critical review of the literature.Ann Occup Hyg. 1997 Aug;41(4):455-65.